We’ve partnered up with MyBodyModel to bring our unique perspective on fashion sketching to the sewing world! A croquis is a silhouette used for fashion illustration. Most traditional croquis are based on outrageous proportions that work great for stylized fashion concept drawings, but not so much for real people. And when I say “real people”, I am not thin-shaming willow-y models, I mean these croquis are 10 heads high (the average human is 8 heads high) with legs that take up 70% of their body height. High fashion is about experimentation and design. It’s about pushing boundaries. Some people think that runway shows are ridiculous and pointless, because no one would wear that stuff in real life. Well, no one probably would wear that stuff in real life, but experimentation and hyperbole are where we get ideas for new fashions that actually do make it to the street. So, I stopped getting huffy about runway shows and started looking at them like paintings or art installations (which is kind of what they are). Asking “Who would wear that runway piece?” is almost like asking “Who would wear that 20 foot painting?”. They just aren’t meant to be worn by you and me, and that doesn’t mean they’re necessarily exclusionary (although the homogenous bodies on the runway can make it feel that way), it’s just that these designers are using these art installations to draw attention to their outrageous creativity and their brands. Let it be fun. Ok- so now we’re having fun watching fashion shows- but can we also have fun wearing our own clothes? What is My Body Model? MyBodyModel is a web-based app that makes a customized croquis based on your body measurements. This means that you can work with something more long the lines of YOU and get a preview of something you would actually wear on the streets! 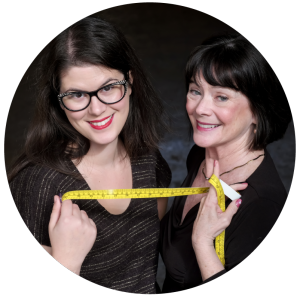 Erica, the founder, is a stitcher who makes garments. 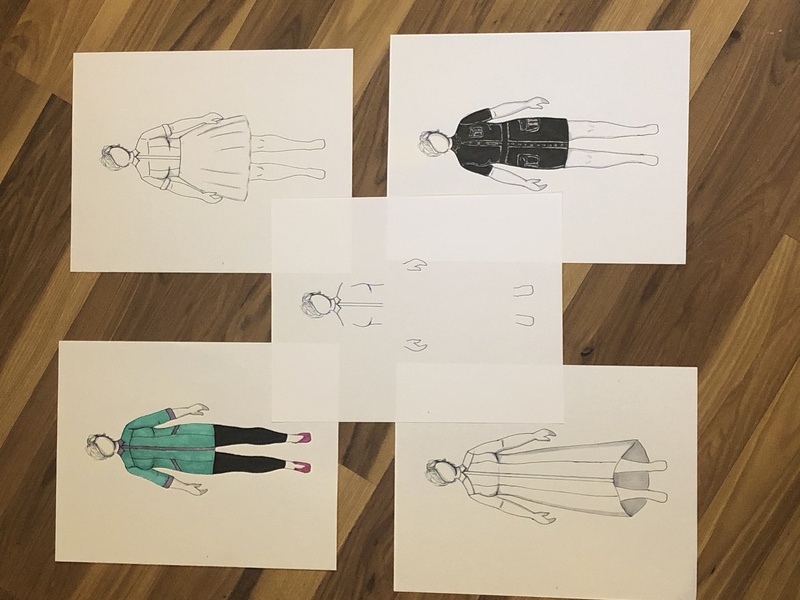 She crowdfunded the platform in June 2018 and has been making valuable contributions to the sewing and making community ever since! There are resources to make the measuring process go smoothly and you get to preview your body model before paying for the download! 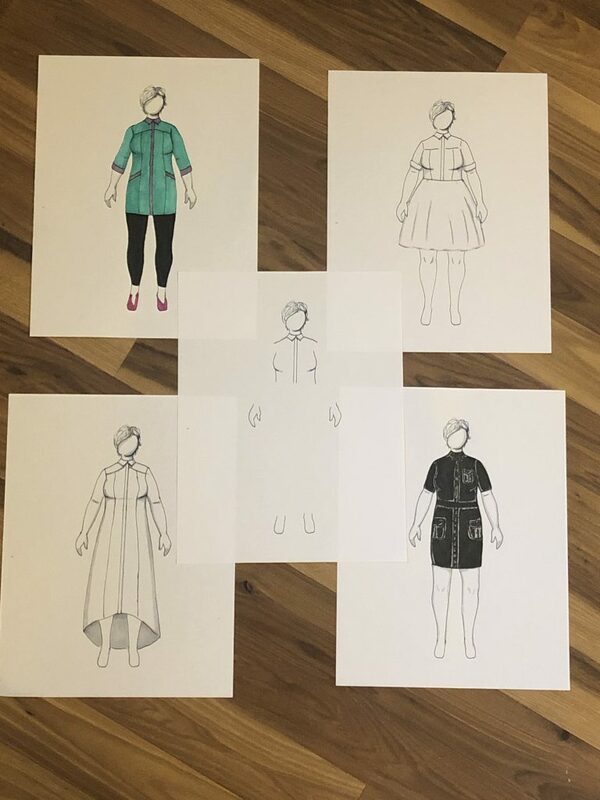 This week, I used my body model to have a ton of fun designing and dreaming about different iterations of the same outfit. Once you have your croquis, you can sketch and trace or reprint it to your heart’s content (you can use the digital file on your tablet too!). 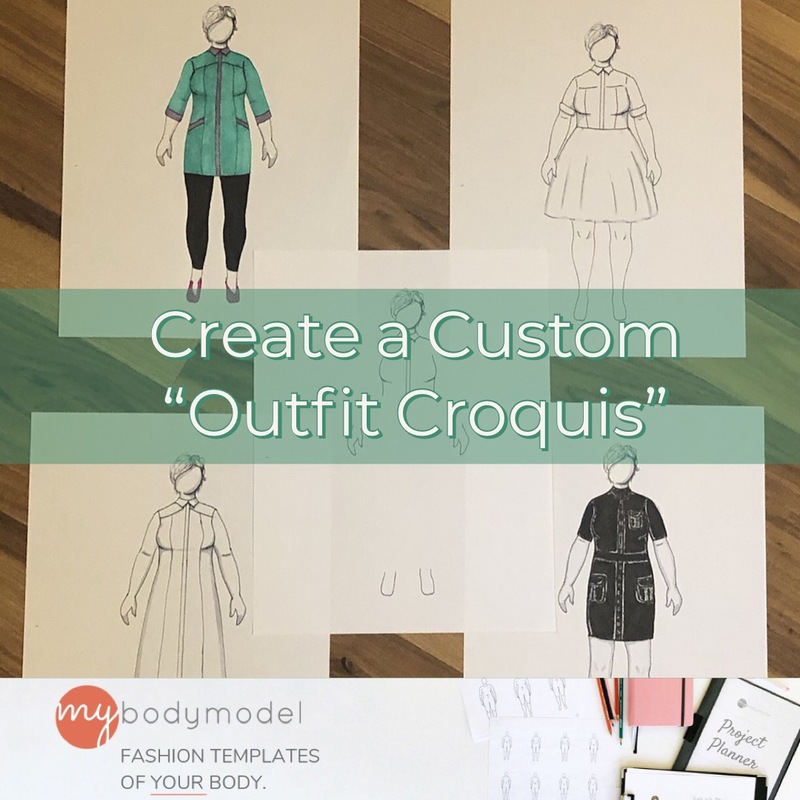 What I did in this video was create an “Outfit Specific” Croquis that you can use over and over again to visualize different design choices on tried and true outfits! Use your Body Model and Trace it lightly onto another sheet of paper. Then draw in the lines of your outfit. 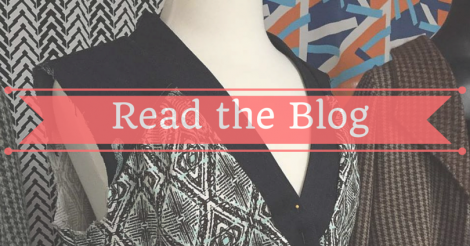 Erase parts of the body that aren’t shown and outline the outfit lines in a dark color. If you know you’ll keep some elements, but experiment with others- only draw in the hard lines on the ones you’ll keep. I basically mad a “Coloring Book Page” for my Floozy Doozy Undie/Crop Top outfit. For my shirtdress, I did things a bit differently. I drew the collar, button placket to the waist, head, hands and feet. This left the sleeve length, hem length and skirt shape open, so I can experiment with different options! 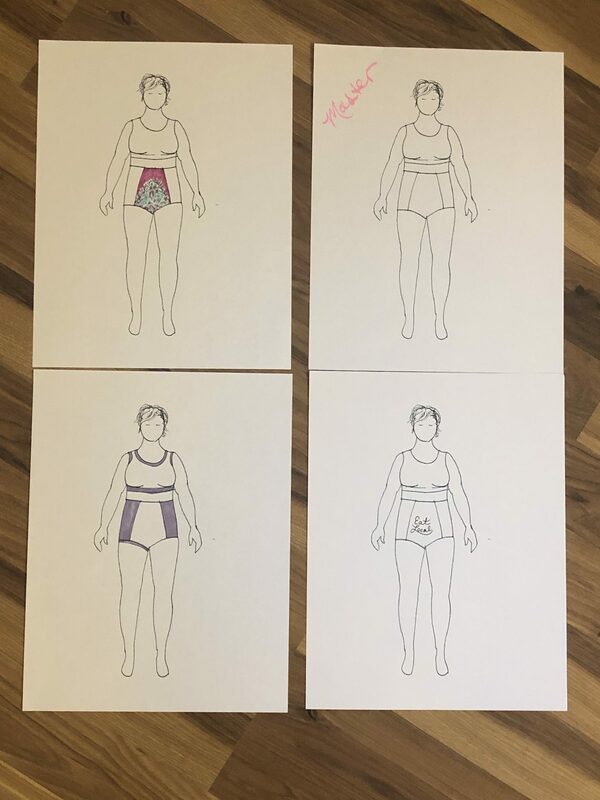 I laid my “Outfit Croquis” over my body model to sketch out these different iterations. It can save you time, if you’re going to use some elements of an outfit or pattern over and over again.